We are pleased to announce that Yasmin Nurming-Por has been awarded the 5th Annual Middlebrook Prize for Young Canadian Curators. Her project, My curiosities are not your curios, has been selected as the winning submission that will be presented at the Art Gallery of Guelph from September 14 through December 17, 2017. My curiosities are not your curios will examine what it means to collect objects through the work of artists for whom collecting is a creative practice. Nurming-Por has selected contemporary artists from across North America whose “collections” address the politics of display, exploring how these systems can also be used to present alternative narratives. The jury included Nancy Campbell, independent curator and writer on contemporary and Inuit art, Toronto; Natasha Chaykowski, 2014 Middlebrook Prize Co-Recipient and Director, Untitled Art Society, Calgary; and Rhéanne Chartrand, Aboriginal Curatorial Resident, McMaster Museum of Art, Hamilton. 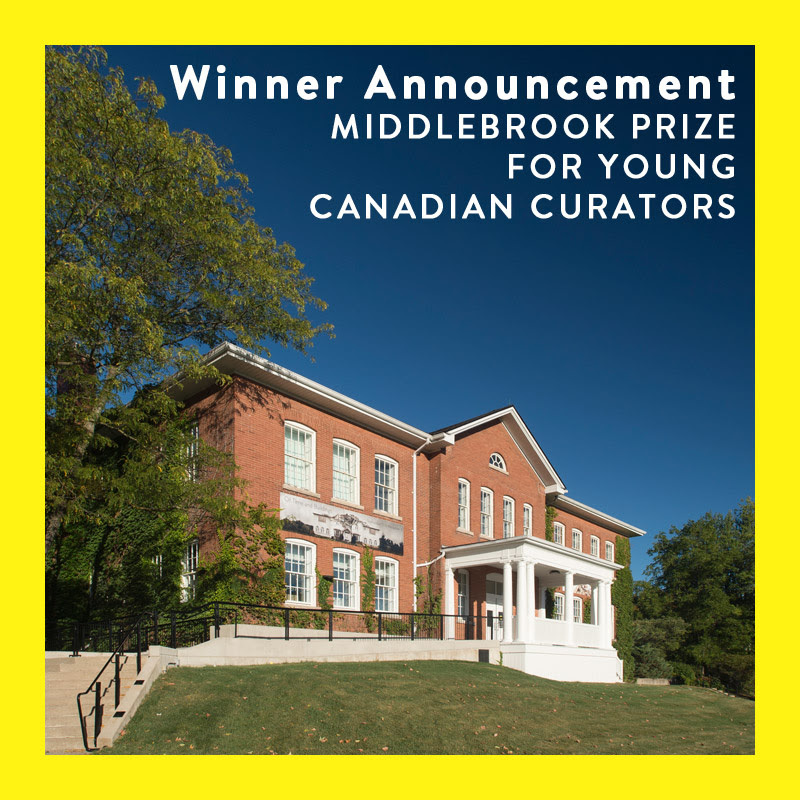 The Middlebrook Prize for Young Canadian Curators is funded by Centre Wellington Community Foundation’s Middlebrook Social Innovation Fund, The Guelph Community Foundation: Musagetes Fund, and by private donations. The Art Gallery of Guelph and its sponsors — University of Guelph, City of Guelph, and the Upper Grand District School Board — acknowledge the support of the Ontario Arts Council, Canada Council for the Arts, The Ontario Trillium Foundation, and the Department of Canadian Heritage.